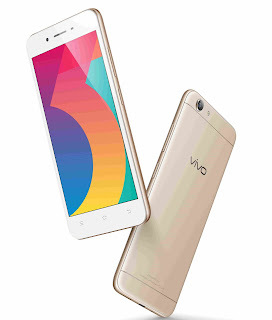 Mumbai, April 30th, 2018: Vivo, the global premium smartphone brand, today launched Vivo Y53i featuring 12.7cm (5) display with Face Access and Ultra HD Technology for capturing detailed photos. Priced at INR 7,990, the smartphone will be available in Crown Gold and Matte Black colour across all offline stores. Y53i is equipped with an 8MP rear camera which can capture high quality pictures and videos. The device’s Ultra HD technology shoots several consecutive images and combines them to render clear and detailed photos with a resolution of up to 32MP. The smartphone comes with a Screen Flash feature that provides bright and detailed selfies, even in low-light conditions. The Y53i’s Face Access feature intelligently scans the facial features of the users and unlocks the device instantly. The new Y53i also has a smart Eye Protection feature that filters out blue light to prevent eye strain during long durations of usage. With the help of the App clone feature, applications can be replicated to accept two separate accounts to provide a convenient multitasking experience. The Y53i is a perfect example of a functional design. Featuring a seamless unibody design complimented with curved edges and a slim profile, the Y53i is easy to grip and comfortable to use. The Y53i is also capable of handling intense tasks with 2GB RAM and a 64-bit Qualcomm Snapdragon processor. The smartphone features a 2500mAh battery and has an internal memory of 16GB, which is further expandable up to 256 GB offering more space for applications and multimedia content such as music, pictures and videos. India. Manufacturing in Greater Noida, the company has a robust distribution network across the country both online and offline, catering the best in class quality services to over 400 cities, in 22 states backed by 400 service centres in India. Dedicated to the youth, Vivo became the title sponsor of the Indian Premier League (IPL) for 2016 & 2017 and recently bagged the title sponsorship for the next five years. It is also the title sponsor of Pro Kabaddi for five years since 2017. Conquering the global stage, Vivo became the official sponsor of 2018 and 2022 FIFA World Cups.